In the ‘Stornoway Wind Farm’ joint venture, multinational companies EDF Energy and Amec Foster Wheeler plan 36 wind turbines. However local farmers would prefer a community-owned wind farm. The controversy surrounding a new windfarm near the main town of Stornoway on the Isle of Lewis no longer concerns whether or not a wind farm should be built, but rather who should get to own and profit from such a renewable energy scheme. Some have referred to it as a ‘David and Goliath’ battle, with big energy companies pitted against local crofters (small scale farmers). In the ‘Stornoway Wind Farm’ joint venture, multinational companies EDF Energy and Amec Foster Wheeler are planning the construction of 36 wind turbines, which would contribute to climate change mitigation goals whilst providing jobs and enabling schemes to support the communities through compensation and a shareholding offer. The moorland they are leasing are ‘common grazings’, which under Scottish law means crofters also have rights to access the moorland for grazing sheep and cattle and cutting peat, and more recently for planting trees and building wind farms. Over 200 crofters have lodged objections to the proposals with the Land Court, and have proposed locally owned wind energy projects which would return all profits to the community rather than to these large companies . Planning permission for Stornoway Wind Farm (formerly Lewis Wind Power) was granted in 2012, and a public consultation was held in 2017 following the company applying to the Scottish Land Court for permission under Section 19A of the Crofting Act, which allows for developments to be approved even when there is crofter opposition . Four of the nine common grazing townships affected by EDF’s planning application opposed it because they want to be able to build their own, community-owned, turbines on the same land . The Crofting Commission has not yet dealt with the question about whether the crofters should have the rights to develop on their grazings, and the Scottish Land Court has said there will be a hearing regarding the Stornoway Wind Farm in due course. 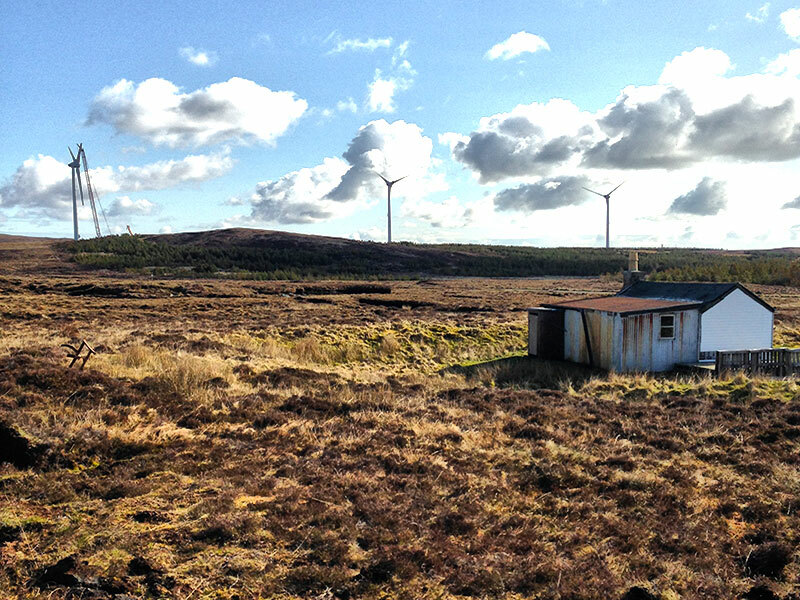 A community-owned project has been successful at the township of Point and Sandwick, where three turbines built on common grazings support a drug and alcohol programme, a hospice and a local arts centre. Such a project near Stornoway could support local causes and create jobs on the island which has high poverty rates and the problem of young people moving away . For locals there is also an historical poinance, as crofters rights were given after the Highland Clearances and for them to be compromised by big businesses would be reminiscent of the times of forced evictions from the land . A 70 year lease was granted to the energy companies in 2003 by The Stornoway Trust, who own the land. Although there are proposals for The Stornoway Trust to support the 20% share in the project offered by the companies, locals remain concerned as the report on the financing of this share has not been made public . In addition to the potential income from shareholding, community compensation would be approximately £900,000 per year. Proponents of a community-owned wind farm however predict they could earn £5million a year based on the success of the 3 turbines at the Point and Sandwick project . The greatest obstacle to achieving this is that the island needs an interconnector to enable electricity to be carried to the mainland; the interconnector would only be built if there was a guarantee of large scale electricity generation . If constructed the interconnector would allow the development of many more energy-generating projects. Stornoway Wind Farm are bidding for the "Contract for Difference", a government subsidy offering a guaranteed minimum price for electricity to onshore windfarms which directly benefit local communities in the remote islands of Scotland. Development of Alternatives The four island townships wanting to develop community turbines of their own are Melbost and Branahuie, Sandwick East Street, Sandwick North Street and Aginish, inspired by the success that Point and Sandwick Trust have made of their wind farm at Beinn Ghrideag. 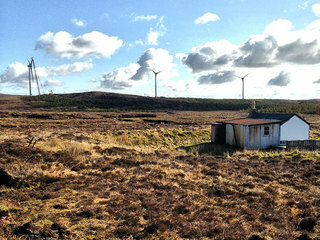 Calum MacDonald, a former Labour MP for the area who was involved in developing the first three turbines, said the earlier development proved that the crofters’ plans were viable. “We absolutely believe we can make it work and that we would be able to borrow the money for the development,” he said.